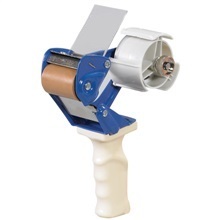 Natural rubber roller and heat-treated blades provide smooth tape release. 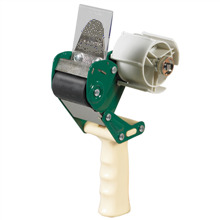 steel frame with steel tension control knob. 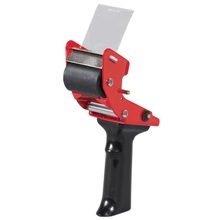 Patented retractable cutting blade action. and a plastic loading gate. 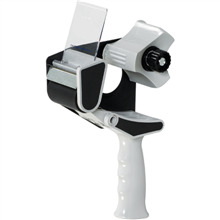 2" Top Gun Tape Dispensers on SALE! 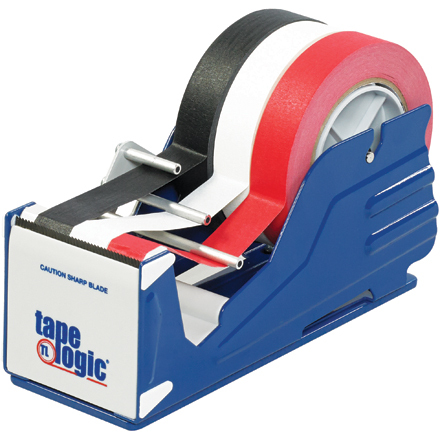 Constructed from reinforced steel and high impact plastic with a rubber tape roller. 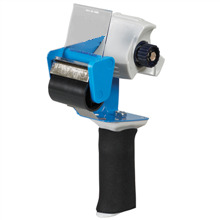 Convenient 3" core tape dispensers keep hands free. 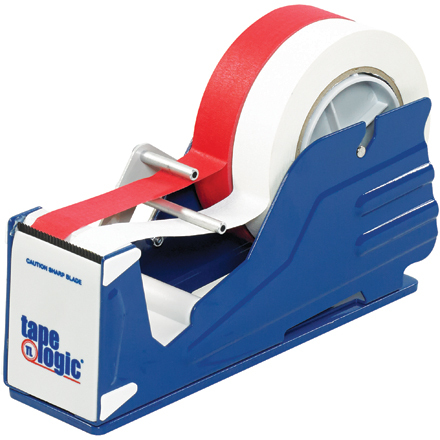 Heavy-duty steel construction with a non-skid base.